The University of Hawai‘i at Hilo was awarded a grant of $197,056 by the National Science Foundation Grants for Rapid Response Research (RAPID) to study the effect of Rapid ‘Ōhi‘a Death (ROD) on animal communities in Hawai‘i. 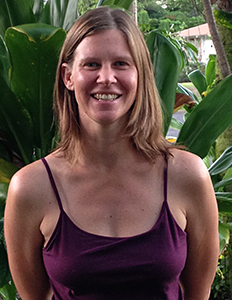 The project, entitled “RAPID: Cascading effects of rapid and widespread mortality of a foundation tree species on animal communities in Hawai‘i,” is under the direction of Doctors Kristina Paxton, adjunct assistant professor of Tropical Conservation Biology and Environmental Science, and Patrick Hart, professor of biology, both members of the Listening Observatory for Hawaiian Ecosystems (LOHE) Bioacoustics Lab. The research will also evaluate whether the diversity and composition of understory plant species moderates how reliant animal communities respond to the loss of a dominant forest tree species. 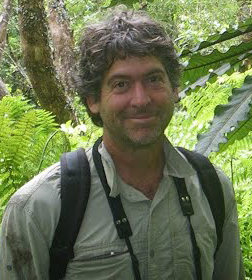 “The use of soundscape indices to model biodiversity following the loss of a foundation species represents a novel and relatively rapid method for assessing ecological change, and would be applicable in a range of ecosystems outside of Hawai‘i,” Paxton noted. ROD is a fungal pathogen causing rapid and widespread mortality of ‘Ōhi‘a (Metrosideros polymorpha), a foundation tree species in Hawaiian forests. ROD poses a serious threat to Hawai‘i’s remaining native forests and the plants and animals that depend on ‘Ōhi‘a. ROD research has been concentrated on understanding the pathology of the disease, how ROD is spread, and the impacts of ROD on ‘Ōhi‘a trees. The grant award ends June 30, 2019.